Nicholas R. Farnolo is a Partner in the Product Liability Department, handling all phases of litigation from intake to settlement or trial. 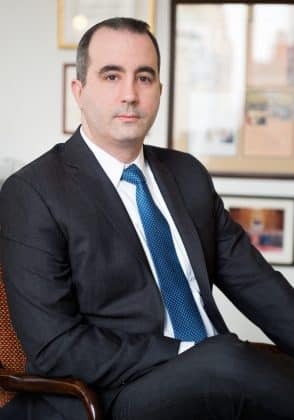 Mr. Farnolo has represented a variety of local, national and international clients in Mass Tort, Class Action, Mechanical Product Liability, Aviation, Commercial and Personal Injury matters. Mr. Farnolo served as a Law Clerk to the Honorable Ronald B. Skolski, J.SC. in the New Jersey Superior Court where he assisted during courtroom proceedings and served as a mediator in qualifying landlord-tenant and small claims disputes. Mr. Farnolo also gained valuable experience as a Summer Associate in the Office of the Kings County District Attorney where he researched and wrote appellate briefs to the Appellate Division, Second Department and appeared on behalf of the People of the State of New York during arraignment proceedings. “The Beat Goes On,” Trial Magazine, June 2010. Lidle ex rel. Lidle v. Cirrus Design Corp., 82 Fed. R. Evid. Serv. 1451 (S.D.N.Y. 2010) (denying defendant’s motion for Summary Judgment). Lidle ex rel. Lidle v. Cirrus Design Corp., 2010 WL 1644958 (S.D.N.Y. April 22, 2010), NYLJ, May 4, 2010 (granting plaintiff’s motion to exclude evidence of NTSB opinions and conclusions). Lidle ex rel. Lidle v. Cirrus Design Corp., 2010 WL 434573 (S.D.N.Y. Oct. 29, 2010) (denying defendant’s request for certification for interlocutory appeal).